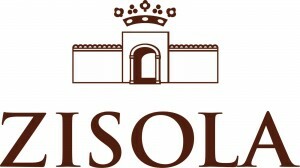 The Zisola estate is the Mazzei family’s most recent investment and is located in south-eastern Sicily, the home of Nero d’Avola, about 1 km outside the magnificent town of Noto which is celebrated for its Baroque architecture. There are two “baglio” buildings on the site which form the centre of around 50 hectares of bush-trained vines interspersed with olives, citrus trees and almonds. The vineyards are located at 130 metres above sea level with a south eastern exposure. The vines are free standing ‘alberello’ bush vines, planted at a density of 5,550 vines per hectare and the soil is calcareous. The small but efficient cellar is equipped with temperature controlled stainless steel vats. After harvest, the grapes are gently pressed and fermented at cool temperatures of around 15°C to ensure that the aromatic compounds of the grapes are retained. Grapes were hand picked from September 1st (Grillo), September 8th (Catarratto). Great with salads, seafood pasta dishes, grilled fish or vegetables.